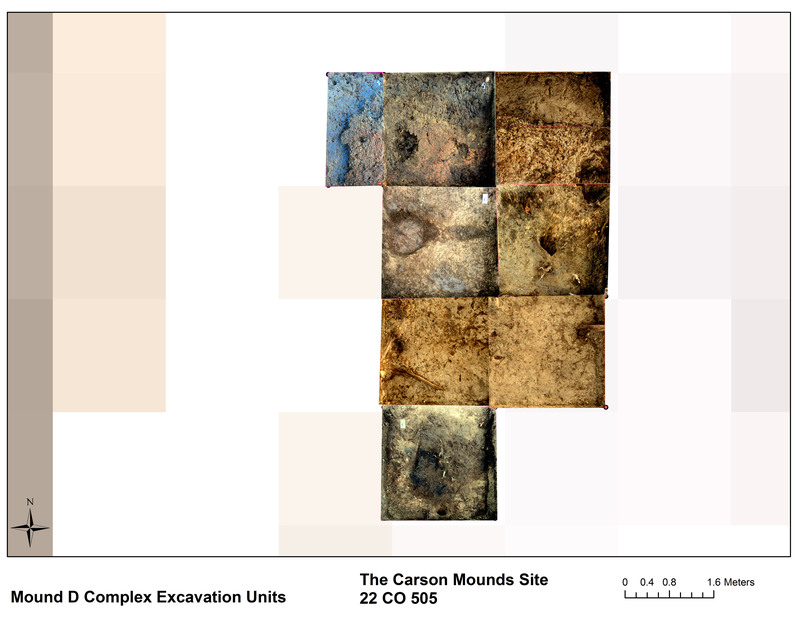 Hey All, here are a few pictures of my summit excavations – I just put together the photomosaic, my first try looked pretty bad, the second one is better. 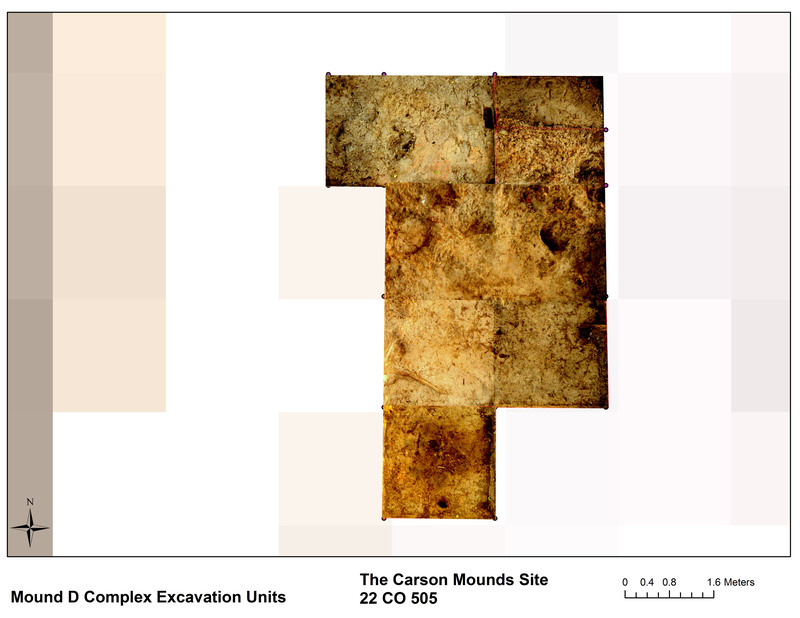 I started off making these mosaics using ArcGIS and tried just georectifying the unit corners to the nails in the photos, but for whatever reason, it didn’t work. I added 4 control points to each corner of the photo ( at the unit nails ) and then linked those nails to the appropriate coordinates in the shape file. Well, that should work, but it didn’t, so I decided to go another route. I exported a jpeg of my ArcGIS shape file that had my unit corners on it, and then I manually imported unit corner jpeg into Adobe photoshop cs2. I then took each planview picture of my test units, cropped out the unnecessary parts, and dragged them to the appropriate unit corners using the perspective correction to make sure each photo was square. While this prally isn’t as precise a method as georectifying, I didn’t want to spend hours screwing around either. The color correction was done in Picasa, but I haven’t yet figured out how to smooth the transitions between each picture. Anyways, the first pic looks pretty bad, and the second one is better. Enjoy, and let me know if you have any suggestions about making better photomosaics, I could use the advice.